Graduated with BA in American History from the University of Hartford in 2012 with 138k in loans, both private and federal. Paying approx $1300 per month since I graduated. I’ve done everything I was told/am supposed to do and have paid approx 84k and my loans have only gone down to about 126k. I am considering no longer paying my $980/month private loan payment. I’ve called and attempted to lower my payment have nearly exhausted my forbearance options. However, I’m petrified that it will blow up in my face and leave me even more destitute and ruin my credit. Do you feel default is a viable option for me? The underlying issue here is if your private student loan debt is even able to be affordable. The federal student loan debt should be consolidated into a Direct Loan and placed on an Income-Driven repayment plan. Not all income-driven plans are created equal though. Especially if you plan to get married. I’m not sure what I can tell you besides the obvious here. Forbearance just causes the debt to increase as the interest that would have been paid during the payment holiday is added to the total balance of the loan. The issue is not if I feel default is a viable option for you. It either is or it isn’t. A default may not be the best choice if you can afford your private student loan payment. If you want to maintain the best possible credit rating then you should always pay your bills on time. But is that really the most important issue here? I don’t think so. If your current income and obligations do not allow you to make the private student loan payment then some intervention is needed. Any consequences from that intervention are incidental and can be dealt with. Some of the considerations you have to think about include your retirement savings plan at this point in your life? If the current private student loan debt is preventing you from maximizing your retirement savings then if you don’t do something now you will be broke and old later. 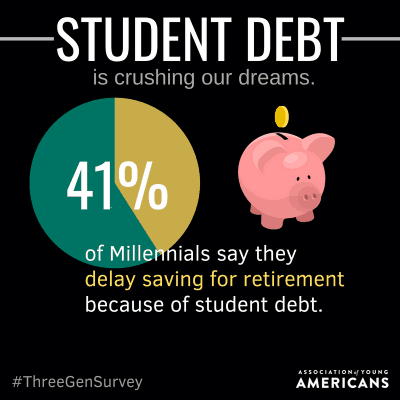 Saving for retirement – 4 in 10 (40 percent) say student loan debts have stopped them from saving for retirement, including 41 percent of Millennials, 38 percent of GenXers, and 31 percent of Boomers. Buying a home – 1 in 3 (32 percent) say student loan debt has prevented or delayed them from buying a home, including 36 percent of Millennials, 26 percent of GenXers, and 32 percent of Boomers. 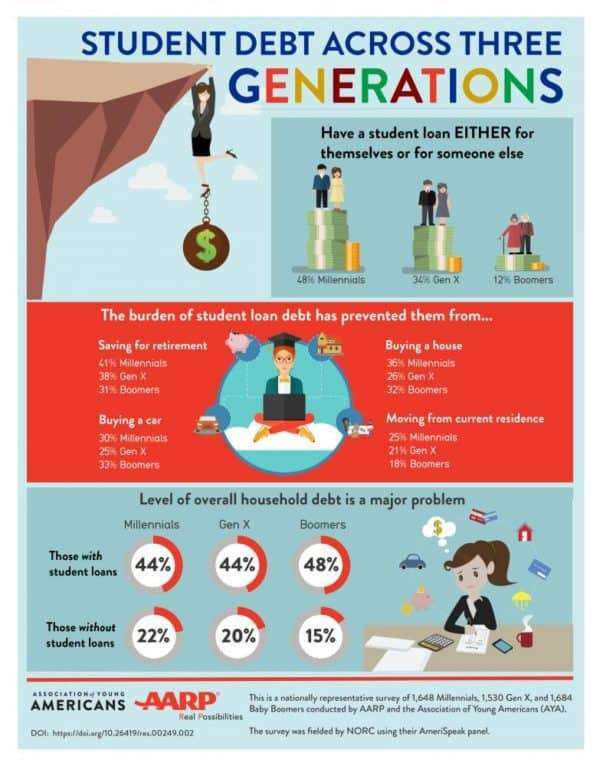 Helping a family member – 1 in 4 (25 percent) say student loan debt prevented or delayed them from financially helping a family member, including 23 percent of Millennials, 29 percent of GenXers, and 26 percent of Boomers. Getting health care – Nearly 1 in 5 (16 percent) said student loan debt prevented or delayed them from getting the health care they need including 17 percent of Millennials, 16 percent of GenXers, and 9 percent of Baby Boomers. So if you are trading off future needs and goals to service your unaffordable current private student loan debt then you are already making concessions and choices. These choices may not be making sure you have a perfect credit history but they are equally or more important. I don’t think you should rush to do anything except get facts and information so you can make the best choices for you. And where you can go for that information is a difficult task for people to figure out. It is a minefield out there about where to go and who to trust. I wish I was still taking on clients to personally assist, but I’m not. I direct people to my friend and debt coach, Damon Day. I would suggest you schedule a call with Damon, talk through your specific issues, and then take a deep breath and come up with intentional action that accomplishes your current and future financial goals. Take fear off the table and replace it with logic and reality.